CHICAGO—Stressing that “it’s only April” and that “there’s a lot of baseball still to play,” Cubs fans throughout Chicago told reporters Thursday that they remain cautiously optimistic about their World Series chances after pitcher Jake Arrieta threw his eighth no-hitter of the season, with the team scoring over 30 runs for the 12th straight game. “The Cubs have started really well, and Kris Bryant already has 38 home runs on the year, but it won’t matter unless they can play like this in October,” said longtime fan Spencer Palmer, noting that while he is happy with their performances, he isn’t getting ahead of himself after the Cubs’ five-game sweep of the St. Louis Cardinals by a combined score of 168-0, which included seven different batters hitting for the cycle. 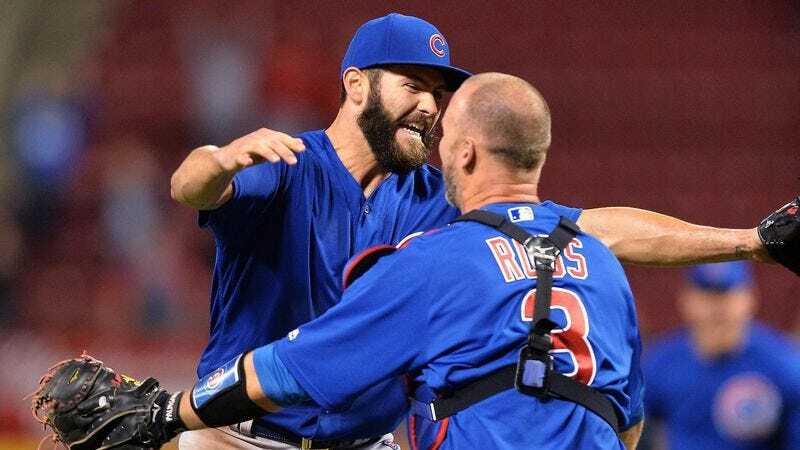 “Arrieta’s thrown six perfect games in his last 10 starts, but if he gets hurt, we really just have Jon Lester, John Lackey, and Jason Hammel, and they’ve only thrown five no-hitters between them all season. If everyone can stay healthy and maintain their average of two triple plays per game, I think they’ll have a great shot in the playoffs. But we’ll see.” At press time, Palmer had reportedly lost all faith in the Cubs’ hopes for a championship after watching right fielder Jason Heyward strike out for the first time all season.